Episode 3, Season 12 of CNN’s show ‘Parts Unknown’ with Anthony Bourdain will be exploring Indonesia. The episode will be aired 7th October 2018, 9PM PET (or 10am, 8th October Jakarta time). TV;s most famous and popular food icon, Anthony Bourdain, passed away on June 8, 2018. His passing shocked all of his fans, followers and the food and travel enthusiasts who’s eyes were opened by his many shows exploring global cuisine. 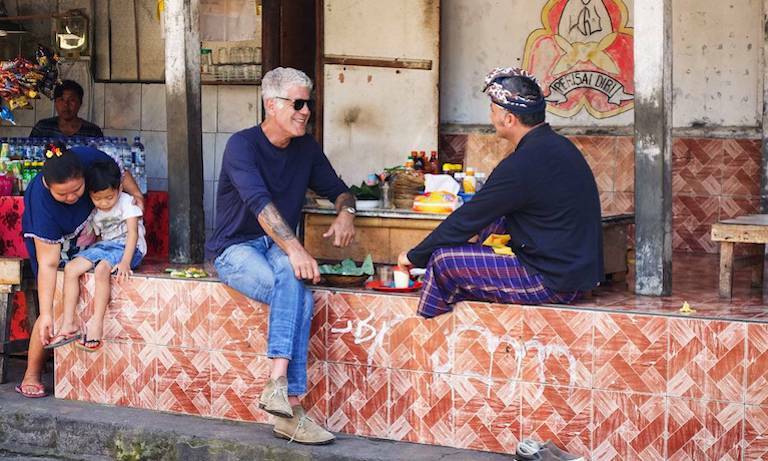 Before his untimely death, Bourdain was filming the 12th season of the CNN show “Parts Unknown”, in which Bourdain continues to do what he does best: exploring little-known places and cultures through food and discussion – with Bourdain flair, of course. In Episode 3 Season 12, released posthumously, Anthony Bourdain returns to Indonesia to rediscover the country he came to visit in 2006 for his previous show “No Reservations”. So, what do we have to expect from this episode exploring the world’s fourth largest country, as Bourdain describes it? From the several clips (shown below) released to tease the episode, we can pick up a few of Bourdain’s talking points. Indonesia is incredibly diverse. If anything can help to visualise our diversity, it is definitely our cuisine. From Aceh to Lampung, Jakarta to Banyuwangi, Bali to Jayapura, every region has its own speciality cuisine. This stems from the original adat of each area which makes the country so incredibly unique as a whole. Tolerance is on the decline. One conversation Bourdain has whilst chowing down in a local Padang Restaurant eating fried lung is how people in the country are becoming less tolerant, especially when it comes to beliefs/religion. It’s so true. Like we explored how the Warung bridges the gap between rich and poor in Indonesia in a previous article, our regional cuisines connects all of us from East to West, North to South. Whilst watching the episode is likely to have us feeling sad at the loss of Bourdain, he has also left us with a beautiful gift in his final season. 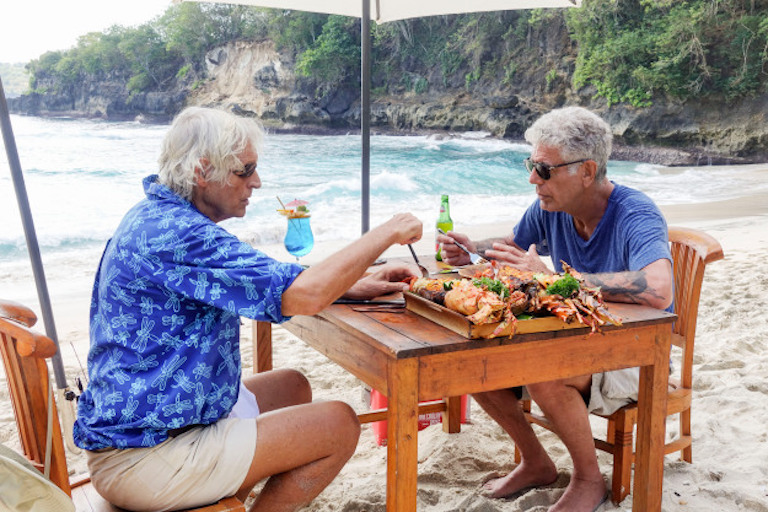 With his great humour, insight and honesty, Bourdain will no doubt make us look back on ourselves, bring about realisations that we as a country refuse to grasp and finally he will remind us of what amazing things Indonesia has – and therefore must not take for granted. Food, deep conversations with interesting guests (including Sir Lawrence Blair from Ring of Fire), and truly breathtaking cinematography, this is an episode of Parts Unknown you should not miss. The episode will be aired 7th October 2018, 9PM PET (or 10am, 8th October Jakarta time) on CNN. 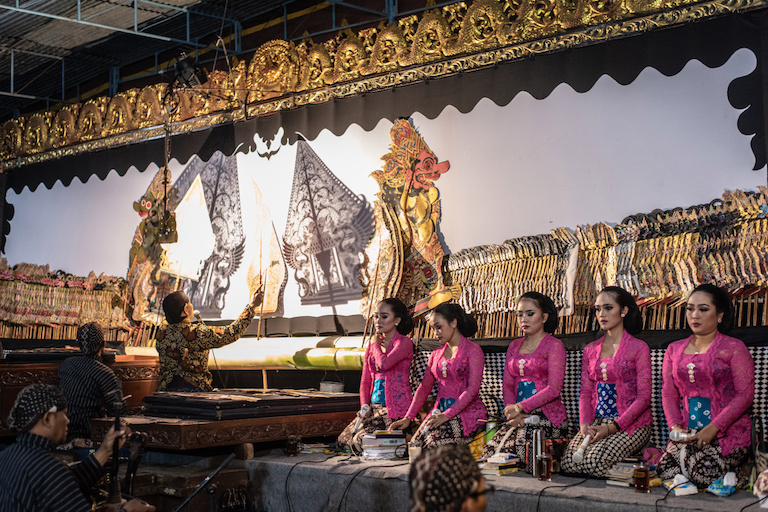 Head to https://explorepartsunknown.com/destination/indonesia/ for a fully interactive experience and information.